Doug Dillon - Doug Dillon is a husband, father, grandfather, former educator, author and blogger living in Central Florida. He writes for both adults and young people, mostly in the arenas of history and the paranormal. Doug has written for Prentice Hall, Harcourt, Boys’ Life, Learning Magazine, the Orlando Sentinel, Mitchell Lane Publishers and Old St. Augustine Publications.The paranormal thread in this author’s work stems not only from extensive research but personal experience as well. In fact, his first published work, a book co-authored with his wife, Barbara, is a family history of paranormal discovery and understanding. Titled, An Explosion of Being: An American Family’s Journey into the Psychic, it was first published by a division of Prentice Hall in 1984.Two of Doug’s articles for Boys’ Life were selected for use in student assessment programs. One of those articles titled, “Gentle Pioneer: The Life of Johnny Appleseed,” was implemented through Educational Testing Service for the state of Washington from 2010 through 2015. The other article, titled, “Walt Disney: America’s Fun Maker,” was implemented through Harcourt Assessment for the state of Michigan from 2007 through 2015.Doug is a recipient of a Disney Teacheriffic Award for his efforts as part of an innovative middle school program, and his book, Where Are Saigon, Kampuchea and Burma? 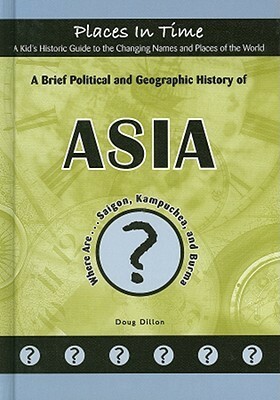 A Brief Political and Geographic History of Asia, for reluctant readers ages 11-14, won first place in the history category for the Florida Writers Association’s Royal Palm Literary Awards program.